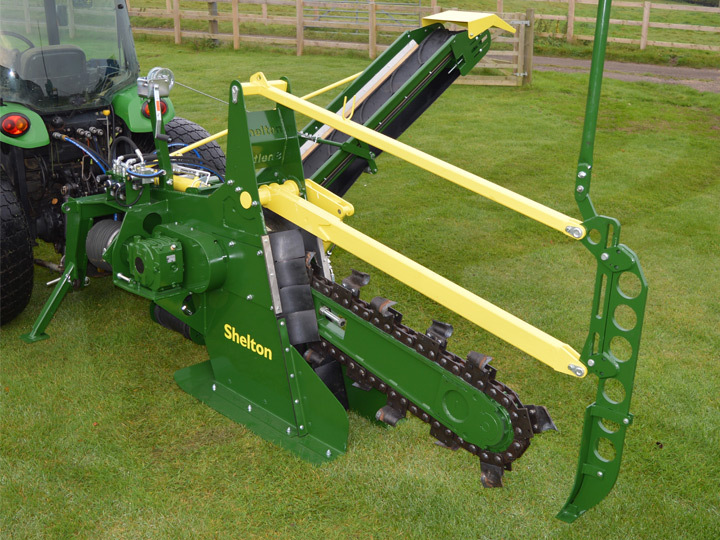 2018 model, ex demonstration Shelton CT 100 Chain Trencher in very good condition. 3 metre long soil conveyor, electro-hydraulic controls, digging depth – up to 1 metre, 120mm – 200mm digging widths. To suit tractor from 50hp+ with creep or hydrostatic transmission.